A longtime member of the Florida State University chemistry faculty is being recognized for his decades of transformational research in photochemistry as the second-ever recipient of an international award from the American Chemical Society. Professor of Chemistry and Biochemistry Jack Saltiel will receive the Josef Michl ACS Award in Photochemistry in recognition of his groundbreaking work on the mechanisms of photochemical reactions, particularly cis-trans photoisomerization, a key chemical process in vision. The award includes a $5,000 prize and up to $2,500 in travel expenses to attend the spring national meeting of the American Chemical Society where the award will be presented. Saltiel said he was surprised and honored by the recognition. “Selection by peers for my research in physical organic photochemistry is a wonderful honor and provides excellent visibility and funding prospects that allow us to continue this work,” he said. Saltiel, a 1960 Rice University graduate and a 1964 California Institute of Technology graduate, has taught at Florida State University since 1965. 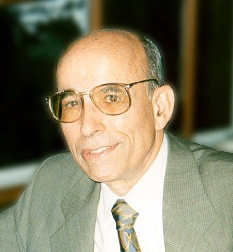 His cis-trans photoisomerization studies are a universally important area of organic chemistry and photochemistry, influencing disciplines from vision to commercial vitamin D production to optical switches and other new and emerging photochemistry applications in materials science and biology. He is a charter member of the Inter-American Photochemical Society (I-APS) and the American Society for Photobiology. He is also an Alfred P. Sloan Fellow, an I-APS Fellow, an AAAS Fellow and a winner of the Florida ACS Award. His research on the mechanisms of photochemical reactions has been supported continuously since 1965 by grants from the National Science Foundation. In addition to his prolific career as a researcher, Saltiel has been a dedicated educator, mentoring dozens of graduate and undergraduate students during his career at Florida State. His former students include Mark Wrighton, the chancellor of Washington University in St. Louis; Kirk Schanze, former president of I-APS; and Elizabeth Gaillard, former president of the American Society for Photobiology.